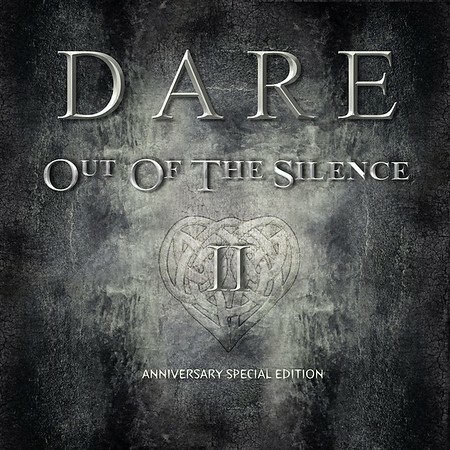 Dare marked the 30th anniversary of the release of their debut album with a re-recorded, special edition called “Out of the Silence II” that was released on 29th June 2018 via Legend Records. The album has been completely re-recorded and is a little heavier sounding than the 1988 original. I included the track “Abandon” on the Friday NI Rocks Show on 29th June. Darren Wharton formed Dare in 1985 after leaving Thin Lizzy and after signing to A&M the band released “Out of the Silence” in 1988, followed by “Blood From Stone” in 1991. Wharton was part of the reformed Thin Lizzy in the late 90’s but still managed to release a third Dare album – “Calm Before The Storm” in 1998. Further studio albums followed in 2001, 2004 and 2009, along with a live album in 2005. An updated “Calm Before The Storm 2” was released in 2012 and their latest album was “Sacred Ground” in 2016. A new studio album is apparently scheduled for 2019. The Dare line-up has changed over the years and the only constant throughout has been Darren Wharton on keyboards and lead vocals. However, original guitarist Vinny Burns has been back with the band since 2008 and bass player Nigel Clutterbuck, who had been part of the band in the early 90’s, returned in 2014. The other members are Kev Whitehead on drums and Marc Roberts on keyboards for the live shows. Both joined the band in 2006. The original version of “Out of the Silence” was recorded at Joni Mitchell’s Bel Air Studio in Los Angeles and was produced by Mike Shipley. The band members at that time were Wharton, Burns, Martin Shelton on bass, James Ross on drums and Brian Cox on keyboards. The three singles released were “Abandon”, “Nothing Is Stronger Than Love” and “Raindance”.